This antique oak double bed is a truly magnificent example of a classic late Victorian/Edwardian arts and crafts English oak double bed. 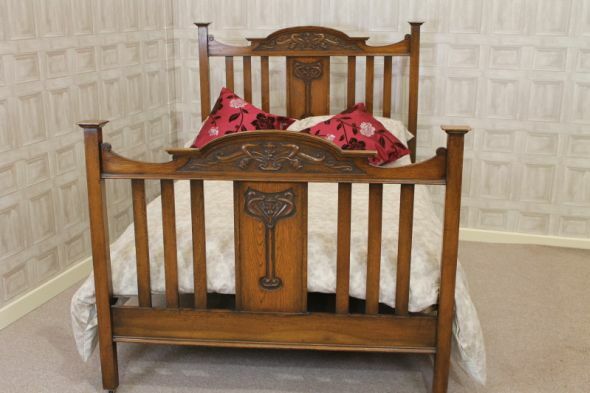 Featuring an elegantly carved headboard and matching footboard, this bed is in outstanding condition for its age, and comes complete with a newly made pine bed base. This antique oak double bed would make a beautiful focal point for any arts and crafts bedroom interior.